Our shirts feature extended shirt tails for comfort and an invisible side seam pocket. 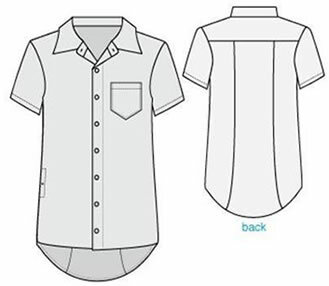 Shirts are slim fit European style with a 3-panelshirt back. 2-panel sleeves for long sleeve shirts. Topstitched button front facing keeps facing from curling. Bottom front buttonholes are horizontal to secure closing. Narrow topstitched collar. 100% cotton. 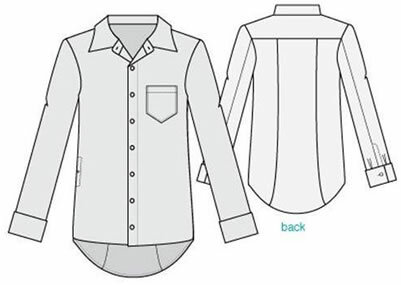 **Or select special order and send us your best fitting shirt and we’ll useas a guide for fit. We’ll send you a pre-paid envelopto the shipping address you enter at checkout. For US customers only.